Do you want the best value in an espresso coffee grinder? 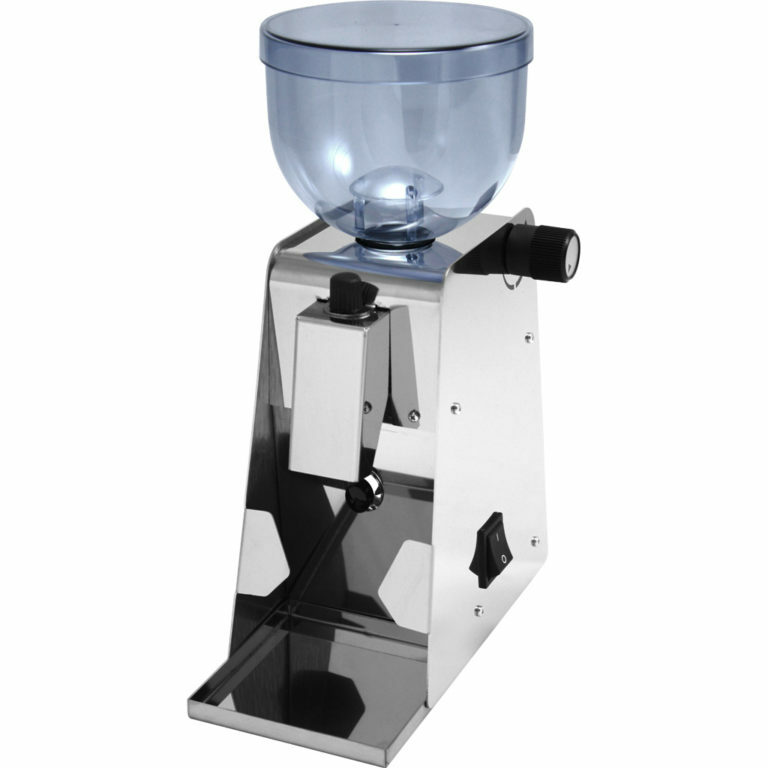 This grinder produces a good consistent grind quality that no almost no other espresso coffee grinder can be compared to in this price range. The only all stainless steel, polished body, doserless, conical burr espresso grinder with stepless adjustment for under $300.00. Can we say more? This grinder was designed for grinding espresso only. Although it ‘can’ be used for other coffee brewing methods, the turning of the knob on the stepless adjustment can be cumbersome to rotate many times for different brew methods. When we say many times, we mean hundreds of rotations. This is why we recommend the grinder be utilized for one brew method only – espresso. The powerful 150-watt motor is engaged through the use of a microswitch that you can press your portafilter right up against and get freshly ground coffee directly into your portafilter. The stepless adjustment allow you to fine tune your grind for the perfect espresso grind – this is different than stepped adjustment where one can use only setting #8 or #9, but no in-between as can be achieved by our PL53 grinder! Conical burrs with the larger burr outside diameter size measured at 38mm. Burrs made of hardened steel. Approximate tinted plastic bean hopper capacity: 150 grams (5.29 ounces). Bean hopper can easily be removed for hand cleaning (not dishwasher safe). Standard 110 volt outlet comes out from back of unit. Compact size makes it even a great grinder for traveling! Doserless chute on front is removable for cleaning. Removable stainless steel catch tray allows easier cleaning versus a fixed tray. Accessories included: removable stainless steel catch tray and instructional sheet.